We have put together this guide to introduce Argentina to you knowing that is very easy to get bamboozled by too much information. We hope this short guide will be enough to set you on the right course, without being too detailed. As such it is not meant to be definitive – for further details we strongly recommend that you look at southamericaodyssey.com/argentina or get in touch; we would be delighted to talk to you through the options. Argentina is the 8th largest country in the world which makes you spoilt for choice when deciding where you want to visit. 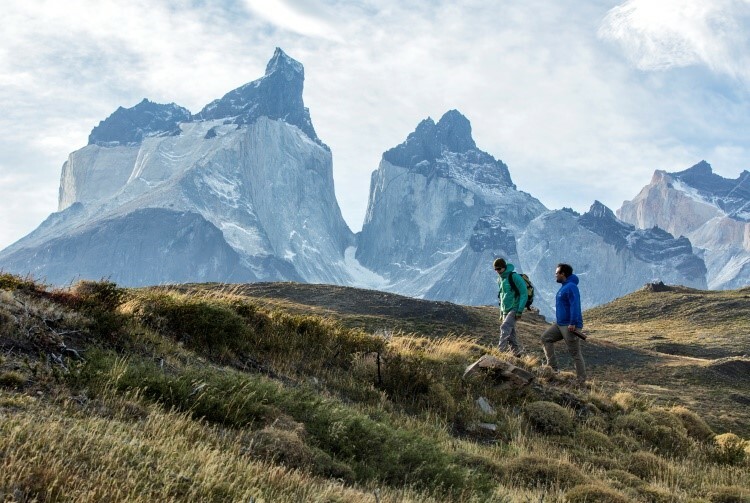 Deep in the south is an outdoors lover’s paradise – Patagonia. Here you can don crampons and crunch along glaciers, trek or ride through national parks, visit penguin colonies or catch a boat to Antarctica. In the northern part of the country you will find some of the worlds most renowned and revered wineries. No trip to Argentina would be complete without a stint in Buenos Aires which you can explore by day before slicing into a succulent steak at a traditional parrilla before heading to a late night tango show. Argentinian Patagonia is vast, remote, wild and breathtaking. It is made up of extremes in terrain and landscapes. Dotted in certain parts are different wildlife species so you must plan your trip carefully depending on what you want to see as it is such a huge region. South, at the edge of the world, you can sail over to Antarctica from Ushuaia. 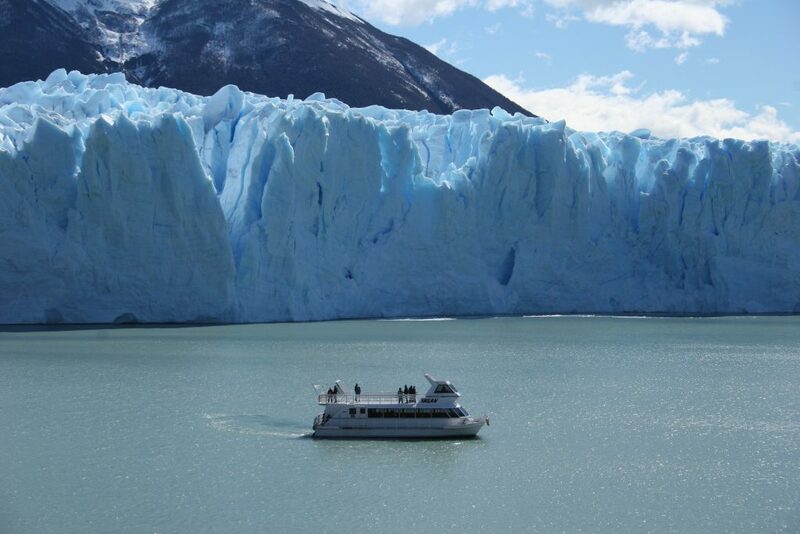 Take a boat from El Calafate to the impressive Perito Moreno glacier – the only advancing glacier in the world. 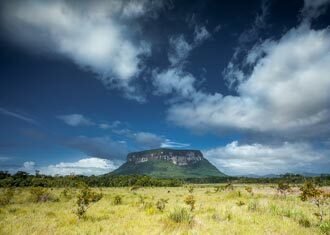 Further north you can visit the Fitzroy national park for beauty equalling the acclaimed Torres de Paine in Chile – though less visited than Torres. Here you will find jagged horizons, wildlife and flora over rolling hills and nestled in between these, crystal lakes. From the glaciers in the south to the snow tipped volcanoes in the north you will not be disappointed. 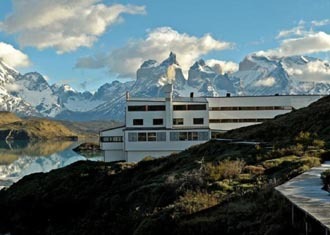 Eolo Lodge is a luxury hotel located close to El Calafate. Estancia Cristina is a remote property that is reached by boat is also a comfortable way of discovering Patagonia whist being located at an old ranch. Here, you will find scenes beauty. Think crystal clear, glacier-fed lakes in between dramatic rolling hills, snow-capped mountains and lush green forests. Along with the spectacular sights, be enthralled with all the activities this fantastic region has to offer such as skiing in the winter, walking, horse riding, kayaking and fishing – endless things to do. Bariloche is an ideal place to base yourself in whilst you travel around the Lake District – it is characteristic of the region in its beauty and sits just on the outskirts of the beautiful Nahuel Huapi Lake. Bariloche has varying styles of accommodation but all of which are excellently situated. Stay at Llao Llao Hotel for an activity based big hotel experience, or to the more intimate Las Balas for great views of the lake from your window. This is Argentina’s vibrant capital and is known as the ‘Paris of South America’. The romance of this city is encapsulated by the Latino performers in the bustling squares, fantastic wine selections, interesting art and colourful barrios (neighbourhoods). 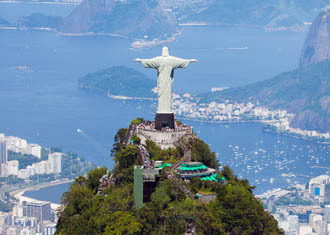 It is thriving, stylish and nostalgic city with a hint of a European feel to the city, but with the zest of South America. For a supremely luxurious stay look to the classic and stylish barrio of Recoleta, and within it Alvear Palace. A great boutique option at a reasonable price is Legado Mitico Buenos Aires. The endless plains of the Pampas are home to the classically Argentinian cowboys who wrestle and rodeo, make this a stop of point to ride horses and guzzle on fantastic wine and BBQ beef. Although not much there but a few small and traditional towns, it has a definite atmosphere and authenticity to it – so we would recommend it as a good relaxing introductory stop to get a feel for the history of Argentina and its culture. For a great Argentinian cowboy experience look no further than Estancia La Bamba – with its great views, very comfortable accommodation and array of activities it is an ideal base. Mendoza is a wine lover’s dream. Here, in the west of the country, some of the best wines in Argentina are produced. The feel of the region is pretty much encapsulated in its nickname as the “land of sunshine and wine”. You can also do activities from here if you are not content with sipping Malbec and soaking in the scenes of the Andes. We would recommend staying in one of the vineyards like Cavas Wine Lodge which offers a super comfortable stay in a 60 acre private vineyard with dramatic views, and of course, excellent wine and food. 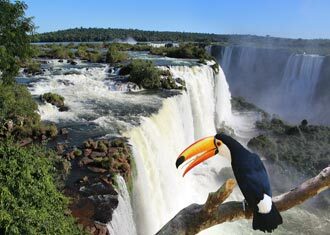 The Iguazu Falls is a collection of 280 waterfalls and without a doubt one of the “big 5” tourist attractions in South America. Many colourful bird species and small mammals call this extraordinary place home. As well as helicopter rides you can water-raft, take a short train ride to where the Parana and Iguazu rivers merge or take an exhilarating speed boat ride under the falls. The only hotel worth staying in for these excursions is the Loi Suites. With its excellent location, this is the only option for fully immersing yourself in the wild close proximity of the falls. The North West provides an alternative and varied region, slightly off the beaten track. A great place to base your-self here is Salta. Find pre-Inca ruins, and historical museums, beautiful villages and architecture, and scenery ranging from salt flats, moonscapes, to huge mountains. We would recommend a stay at Legado Mitico, a colonial mansion whose individual rooms are dedicated to a local hero. If you have not yet had your fill of wildlife spotting visit the Ibera Wetlands – the expansive marshes are home to over 300 bird species and a huge variety of mammals and fish. Go here for birding, horse riding and go on boat trips. Stay at the fantastically located Aguape Lodge – you will get a comfortable stay in a great location to explore the area from. This is a good opportunity to visit Chile, and see what the other side of the Andes has to offer. Cross in several different locations – in the north travel from Salta to the Atacama Desert, from Mendoza to the bright lights of Santiago, from Bariloche to Puerto Montt or from El Calafate to Torres del Paine. Prime time to visit is between the months of December to March when most of the country is hot and dry. September, October and November are considered the shoulder seasons where the north is still basking in the sun, but the weather in Patagonia can be harsh. Those looking to try out the ski resorts should consider a trip in July and August. How much dos a trip to Argentina cost? Argentinian Peso is the currency. Credit or debit cards are widely accepted. 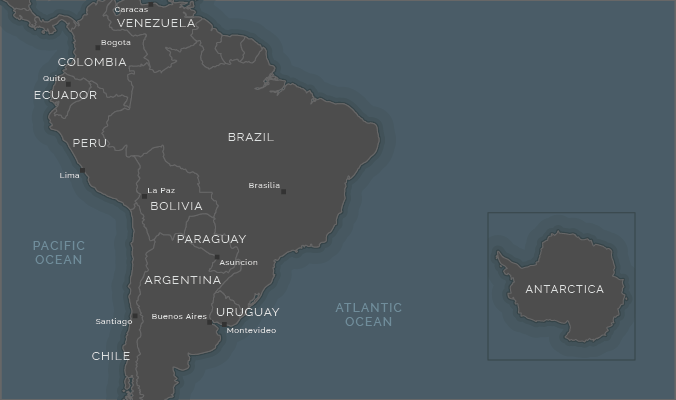 What is the language of Argentina? Spanish is the official language. English and other languages are widely spoken in tourist hotels and locations. GMT -3 hours. New York is -1 hour. There are direct flights from UK. Average flight time is 16 hours. There are also lots of options from the US. How long do you recommend staying? It all boils down to personal preference and what you might want to experience. Once you are there we suggest that 2 weeks as a minimum because there is so much to enjoy. Is Argentina a good family holiday destination? It certainly is. To fully appreciate the beauty of the country then it is better for older families as there are internal flights, great walking opportunities, food experiences and late nights involved. We have put together this guide to introduce Ecuador to you knowing that is very easy to get bamboozled by too much information. We hope this short guide will be enough to set you on the right course, without being too detailed. As such it is not meant to be definitive – for further details we strongly recommend that you look at our website or get in touch as we would be delighted to talk to you all about Ecuador. about traditional indigenous life and spot a huge variety of wildlife. 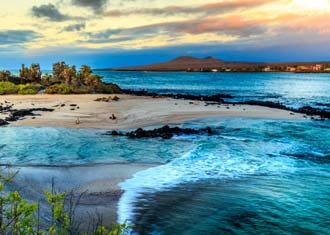 Last but not least, a flight to the enchanting, tamed and revered Galapagos Islands should be on everyone’s bucket list. The Galapagos Islands is in all honesty, the must see place in Ecuador. Travel via boat through the Islands gaping at this exotic and jam packed wildlife spectacle. The marine life is like nothing you will see, and you can get incredibly close to the animals who have no reason to fear you – it is unparalleled for wildlife viewing and really feels like the ‘enchanted islands’ which they are so aptly named. And if this isn’t enough, explore the island from different perspectives snorkelling, diving and in some parts, walking. Most Galapagos Island cruises are about 7 days and the price depends on the size and type of boat – the smaller and more luxurious, the more expensive. 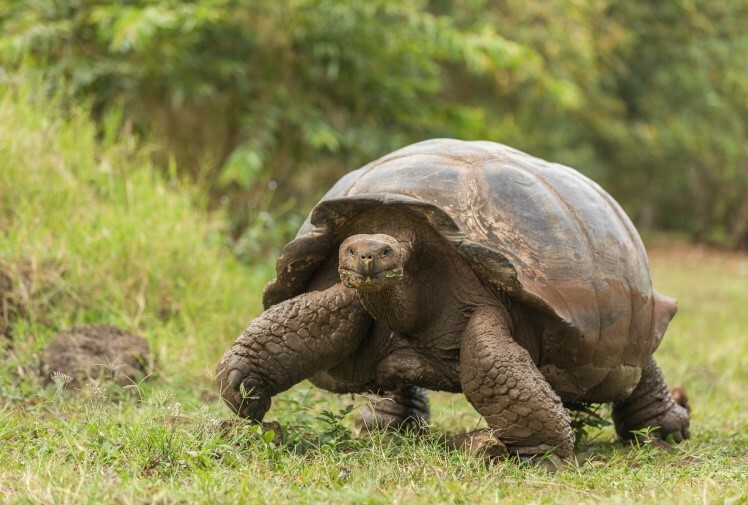 For further information on the Galapagos and the boats that we recommend and can offer guaranteed best prices please have a look at our guide. Quito is the capital city of Ecuador and sits in high altitude in the midst of the Andean peaks and volcanoes. It is split in two parts – one side has a colonial feel to it with its cobbled streets and architecture, whereas the other side is the opposite – a cosmopolitan hub of busy urban dwellers. Take your time to explore museums, food markets, and historical sites such as the 16th century cathedral in Plaza de Independencia. Discover the shiny new side of Quinto from the centrally located Hotel Plaza Grande with its rooftop bar, giving you a great view of the city from above. Or for a more historical stay go for Patio Andaluz in the heart of colonial Quito. 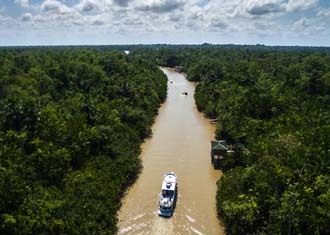 The Ecuadorian Amazon is hugely expansive. Although it makes up almost half the country it is hardly inhabited with only 5% of the population living here. Visit here for fresh water dolphin spotting, monkeys, anacondas, armadillo, 1200 bird species and more. You can also have cultural village visits from here which is a great was to get a better feel for the country. Stay on the edge of a lagoon in amongst the wildlife at Sani Lodge – a remote eco lodge and a birders dream. Here, you will find Ecuador’s colonial city and a UNESCO world heritage site. It is an ideal place to relax and wander around. The centre is the most attractive part but everywhere is draped with history. It is a nice stop, but the draw of visiting this region is also the journey to get there through the Ecuadorian Highlands and the Valley of the Volcanoes which is a fantastic way to experience the mighty Andes. Stay at Mansion Alcazar with its fantastic location and colonial, elegant interiors fitting of the town as a whole. There are several cloud forests that have mossy foliage and hugely diverse populations of birds and frogs. The moisture in the clouds makes the forest a luscious green and packed with life – well worth a visit if you are spending time in Ecuador. The Highlands of Ecuador stretch through the middle of the country and comprise of the Andes mountain range making this region a focal point for the country. For those that venture into the small communities and villages you will see traditional life and escape the mass numbers that flock to the Galapagos. There are a couple of luxury haciendas that are superb places to stay whilst exploring these gorgeous locations. Our favourite hacienda has to be the impeccably run Hacienda Zuleta. that the best time to visit the Galapagos Islands are from December to May, although outside of these months then we still recommend visiting the islands, apart from late September when the seas can be a little choppier and many of the boats are in dry dock. Down the central highlands of the country then the best time to visit are from June to September. How much dos a trip to Ecuador cost? After exploring the Galapagos Islands and once you have exhausted Ecuador, Lima in Peru is only a short flight away from Quito or Guayaquil. Here, there is plenty to do with fantastic museums and internationally renowned restaurants – you will not get bored if you spend a few days here. 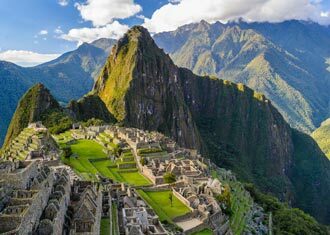 For those of you with no time restraints, why not visit the legendary Machu Picchu and explore a bit more of Peru as well. Some regions of Ecuador such as Quito at 2,850m can get up to very high altitudes. It is not a problem, but just something to be wary of. We always design our trips taking into account the altitudes that you will be experiencing. Ecuador uses the US dollar, and it can be withdrawn from ATMs in larger towns using UK credit/debit. Spanish is the main language. Additionally Quechua and other indigenous languages are spoken in the rural areas. United Kingdom (GMT)is-5 hours. New York is +1 hour. California is -1 hours. There are no direct flights from the UK and popular change airports are Amsterdam, Paris and Madrid. If you are flying from the US then there are more options. We have put together this guide to introduce Peru to you knowing that is very easy to get bamboozled by too much information. We hope this short guide will be enough to set you on the right course, without being too detailed. As such it is not meant to be definitive – for further details we strongly recommend that you look at our website southamericaodyssey.com/peru or get in touch, we would be delighted to talk you through the options. Peru is a fantastic destination with something for everyone. Whether you visit the ancient Andean citadel of Machu Picchu, explore the traditional villages and towns, head east into the dense and biodiverse Amazon rainforest, or if you go to the cosmopolitan capital city of Lima on the Pacific you are sure to love Peru. A country with a fantastic infrastructure for tourism and some of the friendliest locals. Lima is an interesting mix of old history and new development. It’s location on the Pacific Coast means picturesque views and opportunities for day trips to nearby islands if time allows. Among the historical intrigue of the city is the Museo Larco which has more than 45,000 Ancient Peruvian pieces including old treasures and mysterious artefacts to goggle at on your stop here. There is much to see in these world class museums, and also lots to eat with some of the world’s best restaurants. We suggest staying in the fitting former colonial mansion Hotel B, a beautiful boutique and arty hotel which is a perfect base to explore the city from. Cuzco is a fantastic location for wandering around and soaking up the interesting atmosphere is provides. As the former capital of the Inca Empire, Cuzco is seeping with old history and hidden gems. With its cobbled streets, markets and nearby Inca Ruins it makes for an extremely interesting city. There are lots of great hotels from which to select. La Casona is a small and luxurious option located in a exclusive private and historical plaza. Another luxurious options is the Hotel Monasterio that seeping with history it perfectly encapsulates the vibe of the city. For a more economical option then El Mercado is a good four star hotel abundant with quirky local design and colours. A short drive from Cuzco, the Sacred Valley is the place to be. It has everything – culture, colourful markets including Pisac (the best in South America), horse riding, water rafting, mountain biking, trekking and even more historical sites. For an authentic experience with a picturesque view of the Andean Mountain, we recommend staying at the Explora Sacred Valley or Sol y Luna. Sol y Luna is our favourite hotel that is run by the owner Petit, with the sole aim of financially supporting her extremely successful local school. 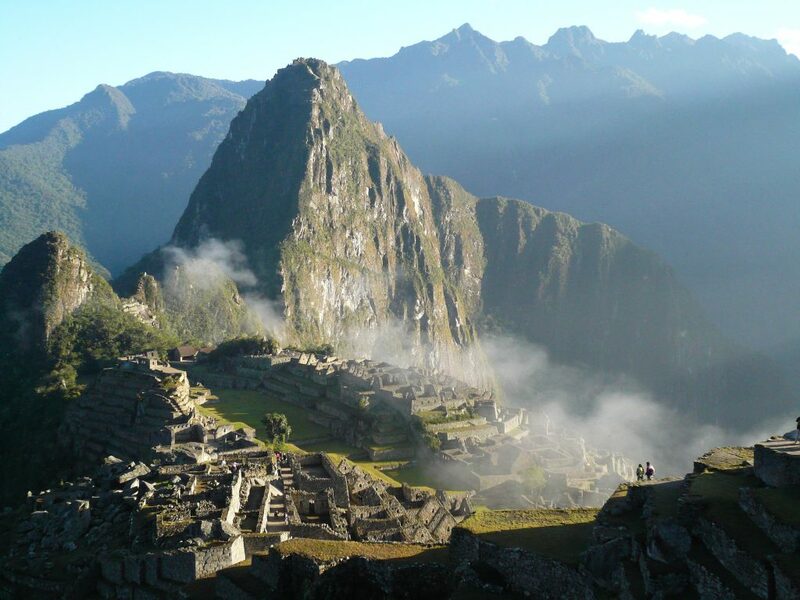 Finally, you will not find a more dramatic backdrop than the infamous Machu Picchu – the main reason to visit Peru. It is 120km south of Cuzco, and can be accessed through the popular Inca trail (a 4/5 day trek), or alternatively via train and bus – you can basically decide how long your trip there will take. Whatever your transport mode, this historical mystery is sure not to disappoint and is a serious must see. For easy access then the Machu Picchu Sanctuary Lodge is the no.1 choice, but being the only hotel in this location comes with a hefty price tag. El Mapi and Puebla in nearby Aguas Calientes are both more reasonable priced alternatives. This area is what you’d expect from the name. Hugely dense with 20,000 different plant species and one of the most biodiverse pockets in the world, the nature and wildlife here is unparalleled. This is a fantastic opportunity to see a different side of Peru, and a nice contrast to the other places you will visit. We recommend that you immerse yourself in this wild environment by staying at one of the remoter located, yet basic lodges such as Tambopata Research Centre. The most comfortable lodge is Reserva Amazonica. If you have time go and see the UNESCO ‘white city’ of Arequipa, aptly named for its buildings of white volcanic rock which makes this world heritage site a possible attraction along with its view of El Misti volcano. Colca is another option for the culture keen – it is a canyon surrounded by picturesque towns, with an authentic Peruvian feel as many of the women still dress in traditional clothing. Cola Lodge is a wonderful, charming and lush place to stay as you can enjoy their natural hot springs whilst drinking a cocktail under the stars. Close to the Bolivian border sits Lake Titicaca, a huge body of water with fascinating islands dotted around it. Nazca Chiclayo and Trujillo are also options if you are on your trip for the long haul. Please contact us for any more information on the above. Visiting Peru is also a fantastic opportunity to branch out to Ecuador and the Galapagos Islands for nature lovers. Or even Chile for a more diverse experience – visit Patagonia, one of the most beautiful and isolated areas in the world or hit up the lights of Santiago; there really are lots of options. It just depends on what kind of holiday interests you the most. The three main regions of Peru all have their own microclimates, meaning that the best time to visit one area doesn’t necessarily make it the best time to visit another. That being said, for most the highlights of Peru are focused around the southern highlands which are best visited between April and September. During these months the weather in the highlands will be dry and sunny during the day and very cool in the evenings due to the altitude. If you want to spend an extended amount of time in Lima then the best months are from December to March. How much dos a trip to Peru cost? Many of the sites in Peru are in high altitude, which can cause altitude sickness. It is not a problem, but just something to be wary of. Even if you are very fit, keep in mind to always stay hydrated and hopefully you will acclimatise quickly. We always design our trips taking into account the altitudes that you will be experiencing. Talk to your GP if you have any medical conditions prior to your trip. Peruvian Nuevo Sol is the currency. UK credit/debit cards are accepted at many ATMs. Spanish is the main language and English is widely spoken by those working in tourism. If you are flying from the UK then flights are around 12.5 hours long. Hop on the direct flight from London Gatwick or other non-direct routes which include changes in Amsterdam, Paris or Madrid. There are lot of options from the US. We have put together this guide to introduce Costa Rica to you knowing that is very easy to get bamboozled by too much information. We hope this short guide will be enough to set you on the right course, without being too detailed. As such it is not meant to be definitive – for further details we strongly recommend that you look at southamericaodyssey.com/costa-rica or get in touch as we would be delighted to talk to you all about Costa Rica. Costa Rica is a small and compact country about the same size as Switzerland in Europe. Visiting this carbon neutral and eco-friendly country is all about the outdoors. Whether you are relaxing by the beach in a cool surfery town, trekking through pristine rainforest in search of jaguar or twitching in the cloud forest you are sure to fall in love with this beautiful Central American country. 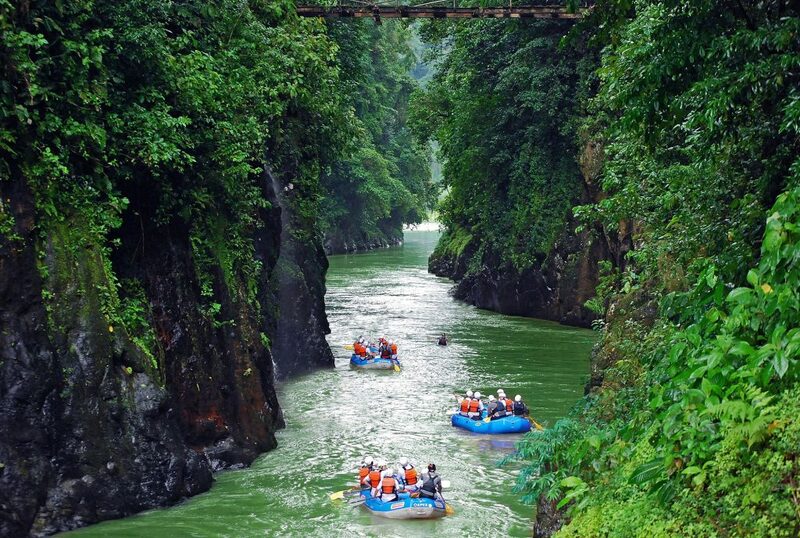 Costa Rica is tranquil, fun loving and a perfect getaway for those searching tranquillity, nature experiences, adventure and fantastic hospitality. The following locations have proven very popular with those that have travelled with South America Odyssey to Costa Rica. We know the pros and cons of each destination and if you have any further questions about these locations, as well as other destinations, please do get in touch as we would love to speak to you about them. San Jose is the capital of Costa Rica and the majority of international flights fly into the Juan Santamaría International Airport. Flights normally arrive at night and we suggest one night in San Jose is about right before venturing deeper into the country. If you want to avoid the traffic then stay at one of the Costa Rica is all about the great outdoors, so instead of stopping overnight in the city, we think it is worth staying on the outskirts at a beautiful coffee hacienda like Xandari. For those that like city life and want to see the centre of the city then the best hotel is Grano de Oro. Tortuguero is an excellent introduction into the biodiversity and wildlife of Costa Rica. Days are spent exploring the flooded waterways of this exotic Caribbean jungle. During the months of July to October sea turtles come in their thousands and lay their eggs on the beaches of Tortuguero at night- a spectacle not to be missed if you are lucky enough to be there during these months. The lodges here are simple and family friendly. Manatus is the smallest hotel that is relatively luxurious. Other good alternatives are; Mawamba Lodge or Aninga. Staying at Arenal National Park means picturesque views of Arenal Volcano, hanging bridges over dramatic waterfalls, heated springs and an abundance of adventure activities from zip wiring to abseiling and river rafting. There is a wealth of accommodation options here your stay depends on your preference; an intimate, tranquil experience in Lost Iguana which is remotely located to the multi award winning and centrally located Nayara or an more basic, yet good option such as Lomas del Volcan. During peak seasons Arenal can get busy as international tourists come to experience the world class infrastructure and activities of this exciting tourist hub. During these months there is a really fun and exciting vibe. Perfect for families. A perfect example of a cloud forest, Monteverde is ram-packed with life and a birders dream. A huge attraction here is the environment itself which is incomparable to anything else and feels truly timeless. Experience this park from the comfort of Belmar, a remote boutique family hotel. There are three areas here, all with very different styles and accommodation. In the north is Peninsula Papagayo, where you can find accommodation similar to our favourite, El Mangroove – a big hotel in close proximity of luscious sunbathing beaches. Further south find Tamarindo; a cool surfery bustling province with nightlife and long beaches. Our favourite accommodation is Capitan Suzio, a boutique hotel right on the beach or the relaxed Cala Luna (15 minutes drive away). South again, and you get to the gorgeous Santa Teresa Beach with our favourite romantic hideaway Flor Blanca , the barefoot luxury option of Latitude 10 or the larger Punta Islitta that has panoramic ocean views. Nestled in the remote corner of Costa Rica, the Osa Peninsula is truly the jewel in the crown of Costa Rica in terms of biodiversity. 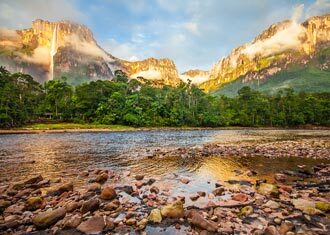 The National geographic proclaimed it one of the world’s most biologically diverse places on earth. There are fewer lodges in this heavily protected national park, and the lodges do tend to get booked up far in advance. Most of the lodges operate a full board program with small group tours included in the price. Lapa Rios and Playa Cativo are the most luxurious eco lodges in majestic settings that we absolutely love. El Remanso is a little more economical and is also a superb option. When is the best time to visit Costa Rica? The best time to visit Costa Rica is from December to April when it is dry and hot in most places. A typical day would have temperature averages of 27° Celsius. During the “green season” that runs from April to November it rains most afternoons and at times you win need to put a poncho on. The rewards are that there are fewer tourists, the forests are lush and green, and if you head to the coast you can watch turtles laying their eggs. Do I need a visa to visit Costa Rica? US and European citizens do not require a visa to enter Costa Rica; other nationalities should make their own enquiries with the nearest embassy. Travellers require a full valid passport with at least 2 clear pages, valid for at least 6 months beyond your date of departure. How much dos a trip to Costa Rica cost? There is no easy answer to this one as all of our itineraries are designed from scratch to suit your interest and budget. As an idea, the itinerary below would cost roughly $4,800/£3,555 per person. See http://digital.africaodyssey.com/Itinerary/Map/85f31121-af6d-45e3-a400-e0cb4ee57209 for more details. How long do you suggest for a Costa Rica holiday? Speaking from experience we suggest that 10-14 days is perfect. But it really depends on what your interests are and how quick you like to travel. What is the currency in Costa Rica? Cash withdrawal of Colón Notes is easy as many ATMs are credit/debit card friendly and can be found in most towns. Contact your bank first and tell them that you are going to Costa Rica. US dollars can be exchanged in banks and are also widely accepted. What language do Costa Ricans speak? Spanish is the main language. English is widely spoken by those working in tourism. How do I get to Costa Rica? There are direct flights from London Gatwick to San José on Saturday, Tuesday and Thursdays (11 hour flight). There are also daily flights via the main European hubs. If you are flying from the US then there are multiple options. We are thinking of also visiting another Latin America country whilst we are that side of the world. Where combines well with Costa Rica? Combining Costa Rica with a cruise in the Galapagos makes for the ultimate wildlife experience. Mexico is also a country that combines history, art, pristine beaches and delicious food. You could fly over to Cuba for a unique experience in a fascinating and quickly evolving county. Please speak to us about all the exciting possibilities.